Last week, Jose Fonte joined Chinese Super League side, Dalian Yifang, for around £5m. His departure was somewhat surprising given he was widely regarded as our best performing centre back at the beginning of the season and with the transfer window in England closed, the club could not bring in a replacement, leaving us with 4 recognised central defenders plus the newly converted Aaron Cresswell. 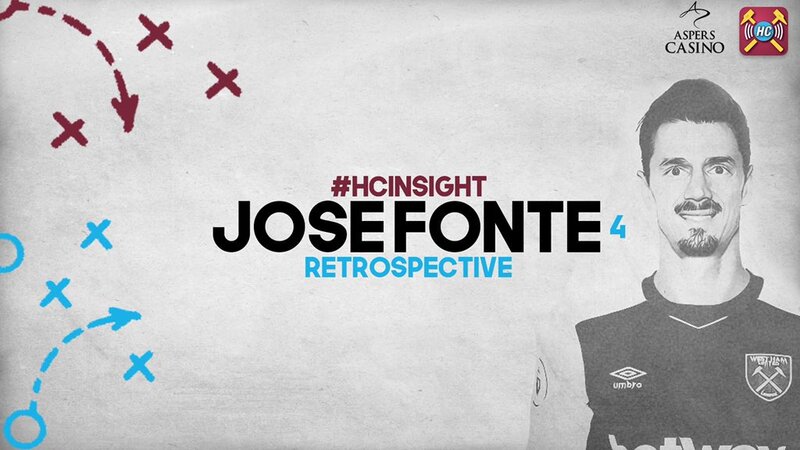 In this episode of Hammers Chat Insights, they take a look at the Portuguese brief stay at West Ham United to determine if he was perhaps underrated by the fan base in comparison to his team mates. After his transfer, Jose perhaps struggled for form as he looked to be a poor signing for £8m but was there a simple reason, outwith the experienced defenders hands? Geo seems to think so and this 4 minute video gives you just that as well as the highlights of his 13 month stay. If you wish to indulge in more West Ham stats then you can follow Geo on twitter @redhammer8 and Hammers Chat @hammers_chat. They will be back with their 5th episode next week and you don’t want to miss it, and we will have it here on The West Ham Way.